For more information on programs, contact your nearest center. The Friends of Crown Heights Universal Pre-Kindergarten Program. The Friends of Crown Heights Educational Centers, Inc., (FOCH), is a contracted provider of Universal Pre-Kindergarten (UPK) services, through which we deliver a high-quality, standards-based, developmentally appropriate instructional program for prekindergarten children. Our instructional program integrates all curriculum areas such as the arts, social studies, literacy, science, social-emotional education, physical education, and mathematics. Our UPK programs are funded by the New York City Department of Education and the New York City Administration for Children’s Services. The vision of our UPK program is to ensure that all children develop the necessary foundations for lifelong learning, self confidence, creativity and social-emotional development. Utilizing the Creative Curriculum/Teaching Strategies Gold, which align with the Common Core State Standards, our program employs multi-sensory and multi-cultural approaches to maximize the learning opportunities for all children and facilitate their acquisition of age-appropriate cognitive, linguistic, gross/fine motor, social/emotional and self-help skills. Our philosophy of teaching and learning is implemented within a framework of developmentally appropriate practices which focus on the development of the total child. This is achieved through concrete and stimulating experiences in a meaningful context, addressing the cognitive, social, physical, emotional, cultural and creative areas of development. The instructional strategies that support this philosohy are implemented through an open classroom design with activities that are student-directed and self-correcting. Our program provides concept-based instruction in all disciplines of study. The program also incorporates a holistc approach to emergent literacy by providing a literature-rich enviornment through developed learning centers. FOCH is also committed to accommodating the specific needs of our children on an individualized basis. This is a continual process that involves a collaborative or team approach. The activities and materials used in our Friends of Crown Heights early childhood classrooms are designed to meet the needs of many children. When they do not sufficiently meet the specific needs of a particular child, they can be adapted or expanded to accommodate the individual needs of that child. For the developmentally advanced as well as for struggling students, instructional groupings are implemented, for example: small groups, cooperative learning groups, peer partnerships, one-to one instruction or independent tasks. For our linguistically diverse learners, teaching strategies such as use of concrete materials/examples, sequencing of learning tasks, repeated practice skills, shaping of response and verbal prompts are utilized. The use of augmentative communication systems, eye gaze,and demonstration may further accommodate the lingusitally diverse learner. For those students with a disability, modification of instructional materials, physically adapted instruction or play materials may be utilized to facilitate the child's participation. Our teachers promote oral language development and collaborative problem solving by encouraging students to bring their ideas and background knowledge and experiences into the classroom. We provide a nurturing and accepting environment where students can be comfortable practicing language without censure from adults or by other students. Our teachers also encourage on-topic, student-to-student discussions and collaborations and provide opportunities for speaking, discussions and expression of ideas, experience and opinions through extended contextualized conversations -- both individually and in small groups. To enroll your child, please visit or contact a Friends of Crown Heights Educational Center near you! The Friends of Crown Heights Educational Centers Inc., is a premier provider of services under the EarlyLearn NYC program, which merges child care and early education into a single, seamless system serving infants, toddlers and preschoolers in New York City. Friends of Crown Heights Educational Centers Inc., is proud to operate one of the very few programs licensed by the City of New York to care for infants as young as two months old. This coveted authorization is awarded by the city only after the most rigorous certification process of both the staff and facilities, and our FOCH infant care program has become a much heralded model in the field. Call us at (718) 638-8686 to learn more, or to arrange a visit at your convenience. At all of our centers, FOCH is also a flagship provider of services under the EarlyLearn NYC program, which merges child care and early education into a single, seamless system serving infants, toddlers and preschoolers in New York City. This new initiative was designed specifically to bring consistent quality early care and education to New York’s neediest children and working poor families. It combines a mix of both center- and home-based programs designed to best prepare children for success in elementary school and beyond. Acknowledging research demonstrating the long-term cognitive, social, emotional and physical gains resulting from high quality early childhood programs, EarlyLearn NYC is administered by the New York City Administration for Children’s Services, in partnership with the New York City Department of Education and the Department of Health and Mental Hygiene. 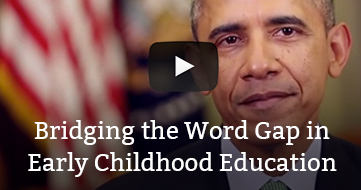 The program seeks to raise educational standards throughout early childhood education settings while simultaneously supporting the professional development and enhancing the instructional practices of early education teachers. EarlyLearn NYC also encourages the recruitment of an economically diverse group of children, based on research showing that children achieve key developmental benefits among a socio-economically diverse mix of their peers. Use our center locator to learn more by visiting a Friends of Crown Heights Center near you. Our flagship Universal Pre-K program features an integrated approach to early childhood education, preparing our 4-year olds with the language, literacy, cognitive, physical and social skills needed to excel in kindergarten and beyond. At FOCH, we are also a premier provider of the Universal Pre-Kindergarten(or Universal Pre-K) program -- an integrated early childhood education delivery system preparing 4-year olds with the language, literacy, cognitive, physical and social skills needed to excel in kindergarten. Administered under the direction of the New York City Department of Education, the ultimate goal of the program is to create Centers of Excellence for pre-kindergarten services incorporating the New York State learning standards. 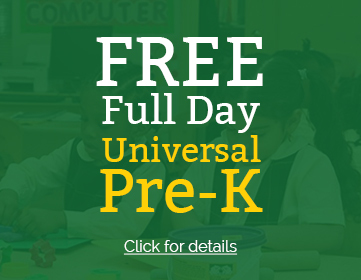 The underlying philosophy of Universal Pre-K is to create a preschool program that provides all 4-year-olds with high-quality, developmentally appropriate instruction, including English language learners, children with disabilities and their non-disabled peers. The program seeks to promote the acquisition of skills in each of the four learning domains: social-emotional, physical, creative expression/aesthetic and cognitive development, including language and literacy as well as mathematical and scientific thinking. For young people enrolled in grades K-12, our Friends of Crown Heights After-school program provides a mix of academic, recreational and cultural activities including homework help and project-based learning, healthy snacks or supper, and regular engagement in fitness, sports, arts and culture. Our Friends of Crown Heights After-school program is administered under the auspices of the New York City Department of Youth and Community Development and is free to all participants. Officially known as Out of School Time (OST), this program provides a mix of academic, recreational and cultural activities after school for young people enrolled in grades K-12. √ Healthy snacks or supper provided daily. Call or vist a FOCH center near you to find out more about the registration and enrollment process. Child and Adult Care Food Program (CACFP): a nutrition education and meal reimbursement program helping providers serve nutritious and safely prepared meals and snacks to children and adults in day care settings. The Child and Adult Care Food Program (CACFP) is a federal program that supports the provision of healthful meals and snacks served to children and adults. Because the participants’ nutritional needs are supported on a daily basis, the program plays a vital role in improving the quality of child care and making it more affordable for families. All CACFP facilities are required to follow the meal patterns established by the U.S. Department of Agriculture (USDA). For example, breakfast requires a serving of milk, fruit or vegetable and bread or a grain product. Lunch and dinner must include a selection of milk, bread or grain product, meat or meat alternate, and two different servings of fruits and/or vegetables. Snacks include servings from two or the four main components: milk, fruits or vegetables, bread or grain product, or meat or meat alternate. As a partner in this program, FOCH works with other child care providers to help them meet the federal nutritional standards required of the program, and to obtain the appropriate reimbursement for expenses incurred. Our Summer in the City Day Camp is now accepting registrations for eligible children ages 5-12 years old. Call or visit any of our participating centers.